Dr. Thein Tun is a retired Rector of Co-operative University, Thanlyin. He earned the PhD Degree in Geography from Mandalay University. He participated in many community development programmes and many volunteer activities. Currently, he is the President of Geographical Association of Myanmar. Also, he is the executive director at Sunward Myanmar. Daw Su Su Hlaing is a President of Private Security Services Association. She received Master degree in Development Studies (MDevS), Diploma in Development Studies (Dip-DS), Bachelor of Science (BSc Maths) and Diploma of Political Science (Dip P.S). 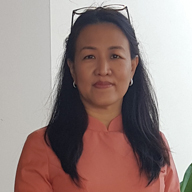 Currently, she is also a Consultant of Economic & Development, Managing Director Winning Security Group Co., Ltd. , Owner of Thamar O Bho Hlaing Traditional Medicine production & distribution , Non-Executive Board of Director of Phoenix Association (Social Enterprise) , President of WHDF (Winning Humanitarian Development Foundation), Fellowship for Women Development Program (China -2008), Economic Empowerment Program EEP Fellowship Fall 2014, YSEALI ,USA, Young Entrepreneur Network Development Program YEN-D (November, 2015), Member of Young Southeast Asian Leaders Initiative YSEALI (November 2015, Malaysia) . 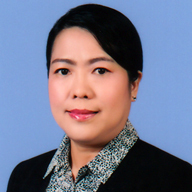 U Aye Thi Ha is an Environmental Scientist and Managing Director at the E Guard Environmental Services. 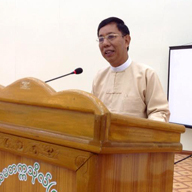 He is also Vice Chairman of the Myanmar Environmental Impact Assessment Association (MEIAA). 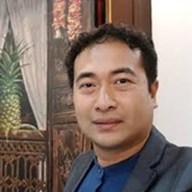 U Aye Thi Ha has a Bachelor of Science in Forestry in 1995, a Master of Science in Natural Resources Management from Asian Institute of Technology in 2000 and Master of Business Administration from Yangon University of Economics in 2018. He has more than twenty years of experience in the field of environment, having worked as professional environmental expert handled JICA’s Afforestation Projects at Dry Zone and Mangrove Area and also KOICA’s Afforestation Project near Bagan, as Project Leader for social impact assessments and air quality assessments for more than 50 E Guard Projects including Yangon-Dala Bridge, Yangon Circular Railway Upgrading Project, Yangon-Mandalay Railway Upgrading Project, Mandalay Inland Port Development Project and Tigit Coal Fired Power Plant Project . President/ Founder and CEO/ Myanmar Information Technology Co.
Dr Tun Thura Thet is a member of Digital Economy Development Committee (DEDC) and SME Development Committee, the Republic of the Union of Myanmar; Vice President of Myanmar Computer Federation (MCF), the federation of computer Industry, Professionals and Enthusiasts associations; and the chairperson of the Myanmar Software Industry Development Committee (SIDC). He is also a visiting lecturer at Master of Business (MBA) and Executive Master of Business (EMBA) programme and Master of Banking and Finance (MBF) programme at the Institute of Economics and Bachelor of Business Management (BBM) Programme at the National Management College, the Ministry of Education. He is the 2015 Convocation Speaker of Wee Kim Wee School of Information and Communications, Nanyang Technology University, Singapore. 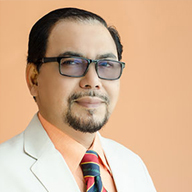 He is also the founder and CEO of Myanmar Information Technology Pte Ltd, the leading software development and System Integration Company in Myanmar. MIT was founded in 1997 and has been the market leader for ICT services in banking sector, retail sector, hospitality sector, healthcare sector and in digital innovation. MIT is the ASEAN Business Award winner for e-ASEAN sector in 2015. He is also a co-founder and director of Myanmar ICT Development Corporation, the MICT Park. Min Oo is a member of Human Resource Development Sub Committee under eGovernment Steering Committee chaired by Vice President-1 of H.E. U Myint Swe, The Republic of the Union of Myanmar; CEC member of Myanmar Computer Federation (MCF); Vice President-1 of Myanmar Computer Professionals Association (MCPA); Vice President-2 of Myanmar Business Executives Association (MBE); Auditor of Myanmar Organization for Road Safety (MORS); Patron of Yangon Region Computer Professionals Association; Organizer of MBA Society whose member are MBA Alumni. 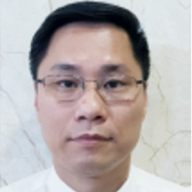 He is also cofounder and Finance Director of Micro Computer Co., Ltd., Board of Director member of Myanmar Technologies and Investment Corporation Public Ltd. (MTI); Director of Myanmar Payment Solution Services Co., Ltd. (MPSS). He was graduated B.C.Tech: from University of Computer Studies, Yangon in 1994 and M.C.Tech: in 1999. He also got M.B.A from Yangon University of Economics in 2005, Post Graduate Diploma in Law from Yangon University of Distance Education in 2017, Diploma in Political Science from Yangon University in 2018. He also got completion certificate of Basic Diplomatic Skill in 2010. He has more than 15 years of experience in daily operation management, general management of IT Trading, Services, Import and Distribution. He has more than 15 years of experience in decision making, planning, organizing, and mentoring in NGO, NPO organizations. 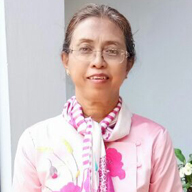 Dr. Daw Tin Hla is appointed Visiting Professor, Finance and Risk Management, Cooperative University Sagain, Myanmar. 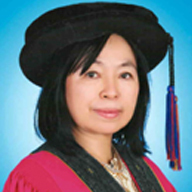 She is also professor/Research and Development Programme leader at Myanmar Imperial University (MIU), Yangon, Myanmar, Executive Consultant/ External verifier, Myanmar Metropolitan College, Yangon, Myanmar, Executive Director/ SSMT Consultant Company. She has many years of experiences in teaching and research. She has many published research papers on international level. She worked as a lecturer, Swinburne University of Technology Australia, Sarawak Campus, Kuching Malaysia (Sept. 2005 – Feb. 2013), Administrator, (Chief Accountant and Financial Controller) Médecins du Monde,-French International NGO (August 2001 – March 2005), Senior Expatriate/ Coordinator of Postgraduate and Research Program/ Accounting and Finance Department: University Malaysia Sarawak (March 2013 – Sept.2017), Lecturer (July 1998 – July 2001), Assistant Lecturer (Jan 1983 – June 1998), Tutor (Feb 1976 – Dec 1982) at Yangon University of Economics. Managing Director/ Mango Marketing Services Co. Ltd.
With her 25 year experiences in marketing industry and being an entrepreneur, Lynn’s expertise is marketing strategy, marketing communication and marketing management and Entrepreneurship. Lynn attained Bachelor degree in Commerce specialized in Banking and Master degree in Business Administration. Lynn is an active mother, a successful business woman, a training facilitator, a mentor and a social contributor. Lynn’s Private Sector Involvements are Co-Founder, Mango Advertising Group Myanmar, Managing Director, Mango Advertising Co., Ltd. (Brand communication agency), Board Member, Myanmar Infratel Holdings Public Co., Ltd., Board Member, Asia Business Synergy Public Co., Ltd., and Founder, Mamabella Mom’s Fashion Maternity Clothing. Lynn’s Social Sector Involvements are President, MBE – Myanmar Business Executives Association, a local non-profit-organization, Vice-President, AAAM- Advertising Agency Association of Myanmar, Central Executive Committee member, MIEGA – Myanmar Institute of Economics Graduates Association, and Treasurer, Rotary Club of Yangon. Prof Dato’ Dr Hj Abdul Murad Ahmad, fondly know as Dato’ Murad is a Malay technocrat who ventured into business at a tender age. Since starting in the construction and timber industry in the 1970s, he has confronted and overcome many challenges and obstacles including the economic depression, inflation of the mid 1970s, 80s, ’97 and recent 2009 economic turmoil and corporate and political conflict. Armed with determination, Dato’ Murad has successfully grown from strength in his diversification efforts to be what he is now regarded as an influential corporate personality in the construction, timber and education sectors. In order to further accentuate the prominance of Malay entrepreneurs, he formed a strategic alliance via a family owned business, Gabungan Kumpulan Murad (GKM). He owned a sawmill, Kilang Papan Murad Sdn.Bhd. which was set up in 1978 and his construction and propoerty company in 1974.He is in business for the last 40years. Whilst pursuing business and corporate ambition, Dato’ Murad has constantly committed himself to self improvement through academic and intelectual pursuits in a variety of courses including business administration, investment and law. He read Law at University Malaya, has obtained MBA from University of Western Sydney and DBA from Victoria University, Switzerland. His philosophy is “Doing Business While Studying”. Dato’ Murad has also lent his time to serve as Chairman of Negeri Sembilan Orphanage Foundation, He founded and established Murad Foundation in 1988 to initially provide a home to orphans in Negeri Sembilan and to-date more than 1000 orphans had stayed and left the orphanage. In the education field, open his owned college, East West International College (www.ewic.edu.my). He was appointed Professorship from East-West University, Chicago.USA , and Professor of Business Administration from European-American University. Dato’ Murad regularly contributes his ideas through talks on entreprenuership programe like TV, media and magazines. 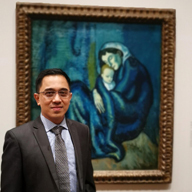 Thomas Tang is a practitioner in sustainability and corporate social responsibility. He was previously the corporate sustainability director of a major multinational engineering design company with regional responsibility. His other career experience spans corporate training, management consulting, executive education, social start-up, environmental consulting and technical research. He has published a number of articles and papers and contributed to two books on the topic of sustainable development of cities and urban communities. His work over the last 25 years has taken him from the UK and throughout Asia where he has conducted assignments on behalf of major institutions as well as private clients. Dr. Tang is a Fellow of the Royal Society of Arts and a Fellow of the Institute of Environmental Management and Assessment. 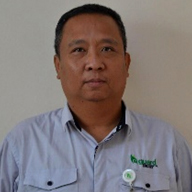 Mr Azamanizam bin Baharom or fondly known as Azman is a self-made entrepreneur whose main business area relates to private education provision and services. Besides a successful entrepreneur, Azman is the Chairman of the Selangor State PERDASAMA, an association which strives to leverage the welfare and network among Selangor entrepreneurs. It is in this capacity that he serves as advisor and consultant to budding and inspiring young entrepreneurs. His knowledge, skills and network with other State PERDASAMAs have provided him with further credentials. Various schools and higher learning institutions have sought his expertise. Conducting boot camps, business model workshops and motivational talks are among the activities he offers in facilitating the young minds to become successful entrepreneurs. Azman hails from Malacca and went to SMK (Agama) Maahad Al-Ahmadi where he studied Islamic Studies and Religion. Coming from a humble beginning, Azman is a living proof of a successful businessman and social activist. 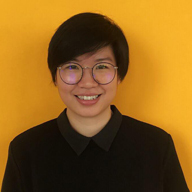 Dr. Jun-E Tan is an independent policy researcher, with her research interests anchored on social and environmental sustainability within the context of sustainable development. In 2016, she was commissioned for a speaker’s tour on the Social and Solidarity Economy (SSE) covering France, Finland, Latvia and Estonia, as part of the Social & Solidarity Economy as Development Approach for Sustainability Project funded by the European Union. Other commissioned projects include a study on social security and the informal economy in Malaysia, the drafting of an ASEAN SSE charter, and a study on freedom of association and assembly online in Malaysia. She also runs MESYM.com, a non-profit environmental platform that crowd sources information on environmental issues and projects in Malaysia. 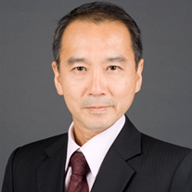 Dr. Tan is a board member of the Centre for Environment, Technology and Development, Malaysia (CETDEM). She worked as a senior analyst in the Institute of Strategic and International Studies (ISIS) Malaysia from 2013 to 2015, during which she focused on topics including SSE, climate change, and green technology. 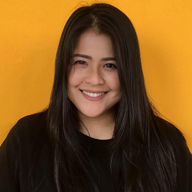 She holds a PhD in Communication from Nanyang Technological University (Singapore), a Master in Public Policy from University of Malaya (Malaysia) and a Bachelor in Information Systems Engineering from Universiti Tunku Abdul Rahman (Malaysia). 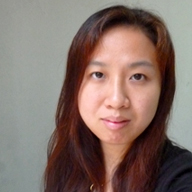 She is also the main author of Blogging and Democratization in Malaysia – A New Civil Society in the Making, published in 2008.